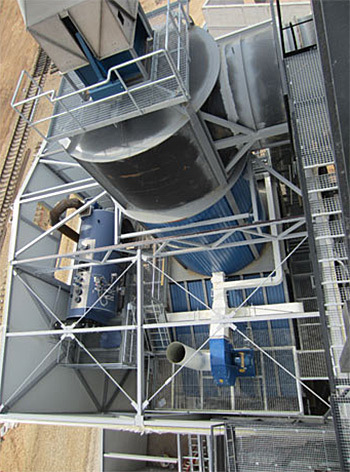 Hot water boilers for sawmills and district heating plants. 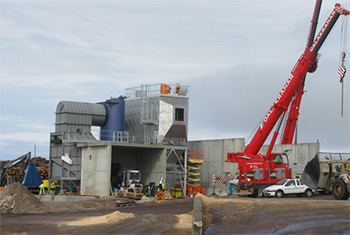 CHP plants for electricity and hot water. Fuel in feeding on the whole grate width. 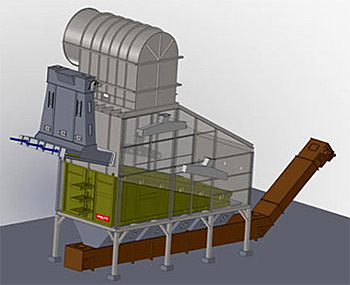 Fuel in feeder via one to three steps of individually controlled puchers. The fuel is fed continuously with the combustion. The grate is a moving inclined grate from Kablitz, from about 2 MW up to 50 MW. The grate bars are casted by Kablitz in Germany. They have over 110 years of experience in casting technology. The sides of the grate are made of air cooled castings boxes, where the thermal expansion is taken up. The grate have frequency controlled pumps, providing individual control of the various sections and continuous operation. 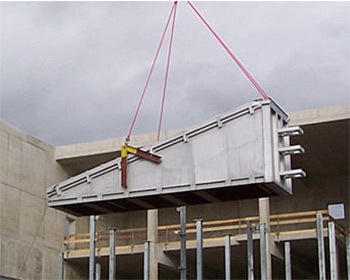 Saxwerks standard is a robust submerged conveyor at floor level. Saxwerks geometry on furnace provides a well-burned gas with low emissions. 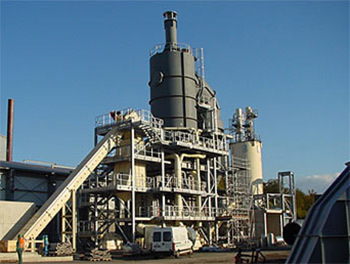 Standard is flue gas recirculation under grate, as well as in the main combustion chamber. Saxwerk has a robust control system based on underpressure regulation, which provides the ability to control multiple boilers and driers with the combustion unit. 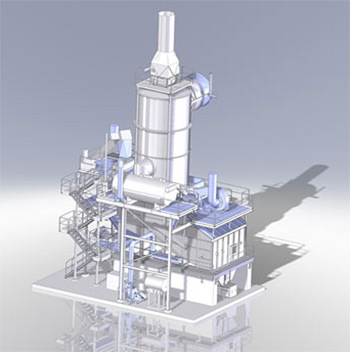 In cooperation with our partners in Estonia Tamult AS, Saxwerk can also offer small bioenergy plants from 1MW up to about 3MW. The plants are mostly completed in the workshop, which means that the total cost can be kept down. Saxwerk is a representative for Kablitz. Kablitz has many years of experience in CHP plants around the world, with a wide range of different fuels. For smaller installations, ORC technology can also be used, from thermal oil produces electricity and hot water in a standard module. For more information about Kablitz: www.kablitz.com. 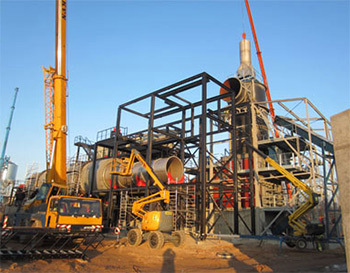 For board and pellets industry, it normally requires that the combustion unit provide the dryer and the boiler with energy. 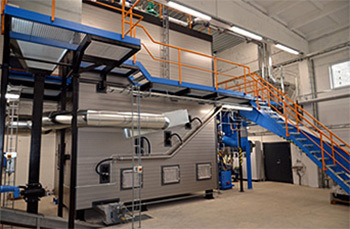 Saxwerk has long experience in the type of process solution, with drying units and boilers connected to the same combustion unit.